Your roof is an important and valuable asset which is constantly exposed to harmful weather conditions, including hurricane force wind, rain, hail and UV rays. 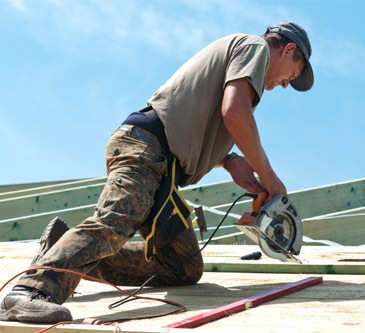 Regardless of the system and level of workmanship when a new roof is installed, it will need to be replaced. Proper and preventative maintenance with regularly scheduled inspections detect minor problems before they become major problems. 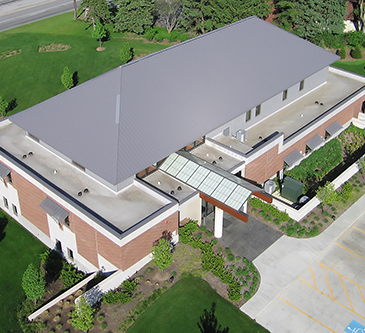 Titan Roofing LLC has developed a three tier roof repair program which is suitable for buildings of all sizes. With our extensive experience with all facets of the roofing industry, we are qualified to identify and repair the potential problems. This program will result in a longer roof system life cycle and lower long term costs to the owners. It will extend the life cycle of the roofing system, saving the building owner money on major repairs, property damage, and business interruption. We understand that no building is exactly alike, and we will work with you to determine the most suitable situation. If you would like to find out more about our maintenance program or for pricing information, please speak to one of our field representatives. Titan offers emergency services, which is very handy if you need immediate roof leak repair. It is our goal to uphold commitment to maintaining an accident-free workplace. There is under no circumstance an acceptable reason for compromising safety. The Titan Roofing LLC Safety Manual and Pre-Task planning activities are specifically designed to achieve and reinforce this goal. The results of our safety training and planning efforts will affect our overall success. Each employee is required to undergo rigorous continuing education in specific safety areas. All supervisory employees accept their responsibility for the prevention of accidents and for conducting all operations under their supervision in a safe manner. Additional training such as CPR/First Aid may be provided to supervisors but is not exclusively limited to supervisors.